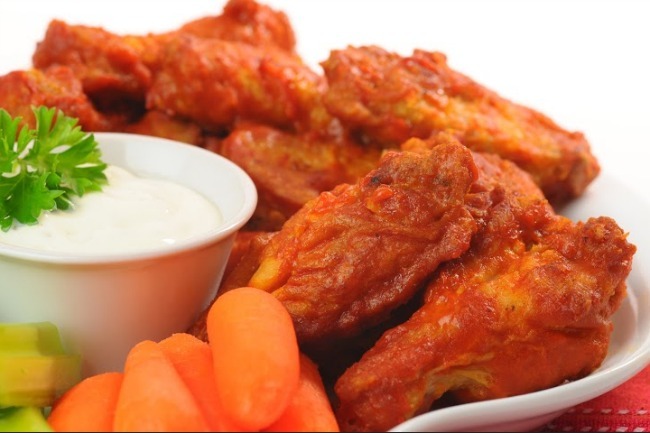 Since I am from the mid-west originally, Slow Cooker Sticky Wings or Drummettes bring back some fun times with friends! YUMMY! In the slow cooker, mix 1/4 c. brown sugar, 1 T. soy sauce, (Tamari is gluten free) ginger, garlic, and cayenne pepper. Season the chicken with salt and pepper and add to the slow cooker. Cover. Cook on Low for 4 hours or on High for 2 hours. Transfer chicken to the prepared baking sheet and discard the liquid. Combine the remaining sugar, water, tomato paste, remaining soy sauce and/or Tamari and a cayenne (optional) in a bowl to create the glaze. Brush the chicken with the mixture and broil the chicken until lightly charred and crisp, about 10-15 minutes. Flip the chicken and brush with the remaining mixture and continue to broil until charred and crisp on the second side, about 5-10 minutes. and…. you know what to do next! Oh so YUMMY!